Is your company at risk for a Workplace Safety Citation? 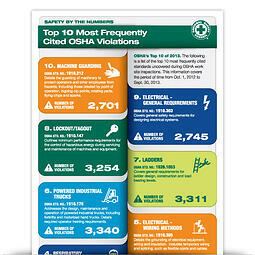 Every year, thousands of companies are cited by OSHA Inspectors for unsafe working conditions. These violations result in fines and citations, costing businesses millions of dollars. Knowing the most common OSHA violations can help you manage your company’s risk profile and avoid disruption to your business.